Even in an all Chinese affair, there were certain differences. That was evident as Fan Zhendong and Lin Gaoyuan beat Fang Bo and Zhou Yu in four games to win the men's doubles title at the Seamaster 2017 ITTF-Asian Championships in Wuxi, China on 15th April 2017. The top seeded pair of Fan Zhendong and Lin Gaoyuan beat the second seeded pair of Fang Bo and Zhou Yu 3-1 (5-11, 11-6, 11-7, 11-6). Fang Bo and Zhou Yu started off the match well by winning the first game in a quick fashion 11-5. Their powerful attacks cross court proved to be beneficial in the first game. 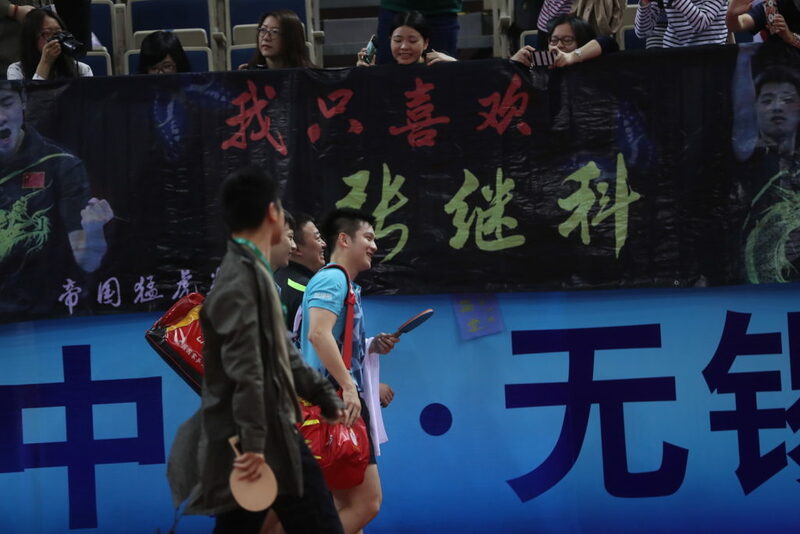 But it was also evident that Fan Zhendong and Lin Gaoyuan were still working on finding that right moment to get into the game. Remember it is a best of five match, not time to relax. Fan Zhendong and Lin Gaoyuan relaized that soon and changed the course of the match winning the next game 11-6 and thus leveling the match. In the third game, Fan and Lin took an early lead of 7-3 to make their opponents sweat. But there was no stopping Fang and Zhou as they got back to 7-6. Stopping the rhythm of the match, Fan and Lin took a time out. The time out worked and Fan and Lin, they won the third game 11-7. In the fourth game, Fan and Lin again too the initial lead at 2-1. Fang and Zhou, understanding the gravity of the situation, took a time out to figure out what was wrong. But their efforts went in vain as Fan and Lin proved way too strong and wrapped up the game 11-6, and thus won the match to be crowned the Men’s doubles champions of the Seamaster 2017 ITTF-Asian Championships in Wuxi, China.